4-way Articulating 6mm Borescope System with 3.5” LCD Monitor - Oasis Scientific Inc. 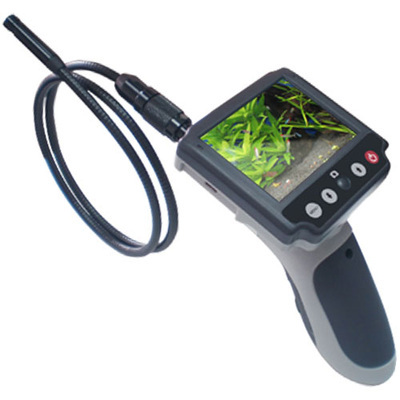 Ideal for industrial detailed visual inspection in hard-to-reach places with 4-way or 2-way articulating 2.8mm to 6 mm diameter probe, 4.1 ft (1.2 meter) to 9ft (3 meter) long flexible cable, 3.5" LCD monitor, and photo & video capture capability. 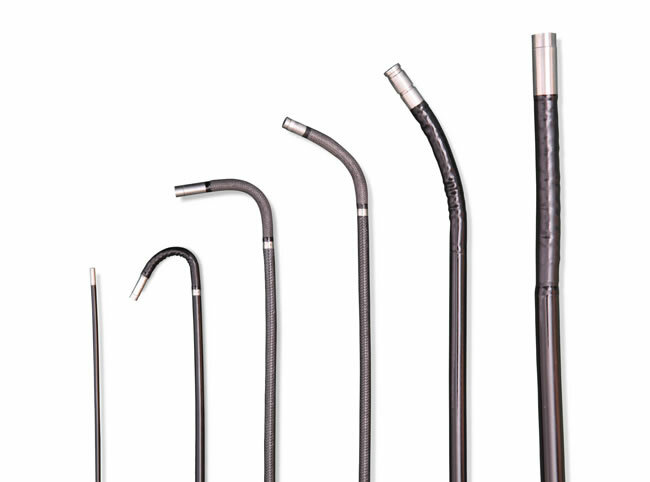 The cable outside sleeve is made from tungsten mesh for maximum wear resistance. 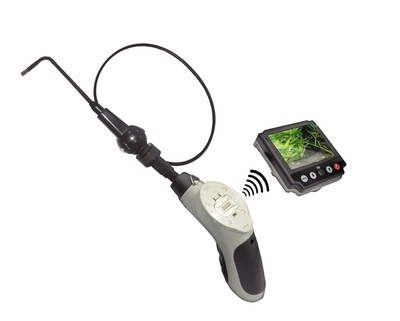 The cable camera is water proof, oil proof, acid proof and alkaline resist. 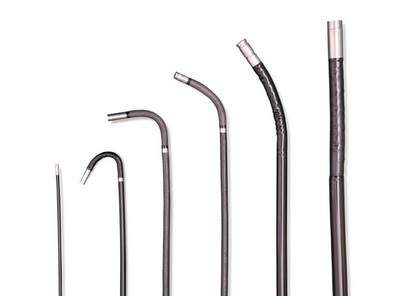 The handle and monitor are heavy duty metal construction for durable use. 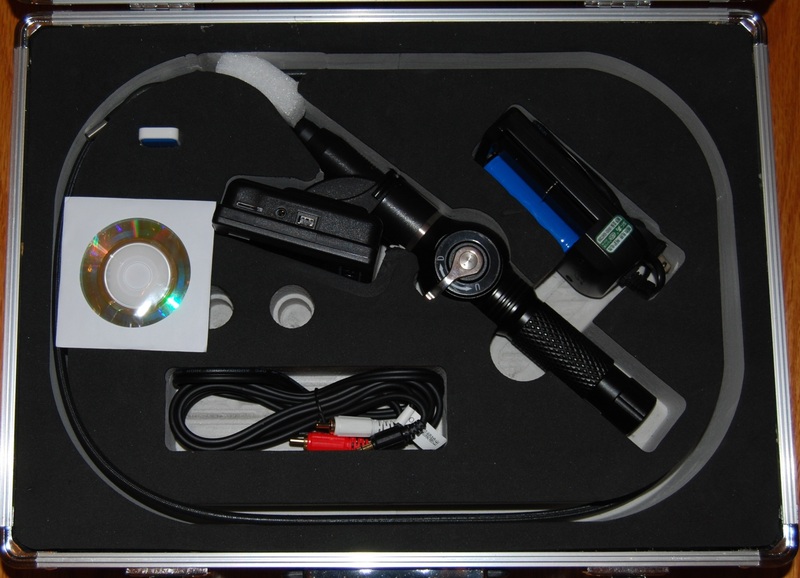 The package comes with a heavy duty metal tool box, high quality lithium rechargeable battery. 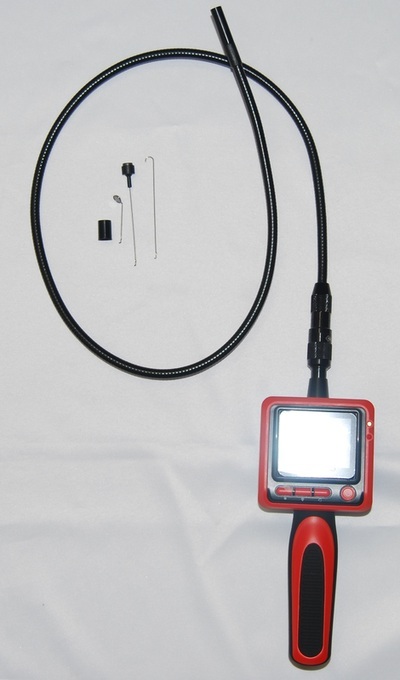 The Vividia High Definition Video Borescope System with 4-way 6mm Articulating Camera Probe and 3.5" LCD Monitor allows you to perform detailed visual inspection in hard-to-reach areas, even in total darkness or under water. 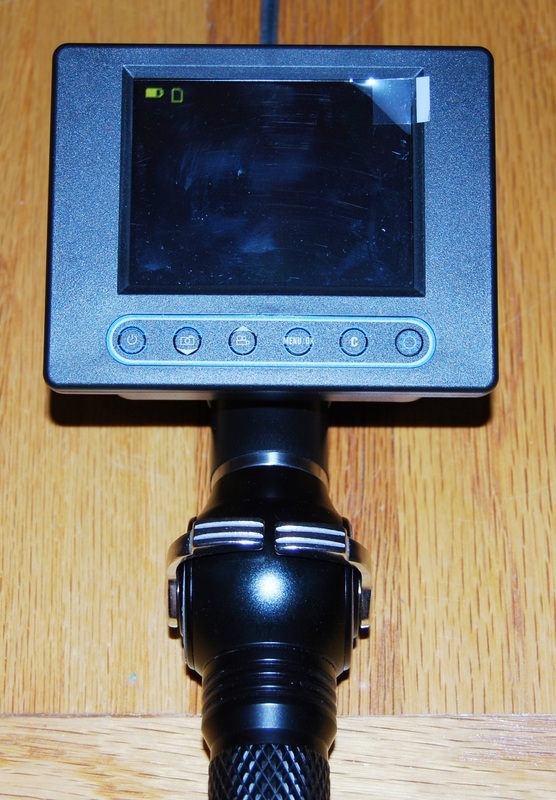 Utilize both articulation knobs to control the camera up, down, left and right to get a complete video or picture for your inspection. With 3.5" full color LCD screen and four built-in LEDs for illumination, this camera allows you to capture snapshots or videos with rich color throughout a dynamic range of 1cm to infinity. 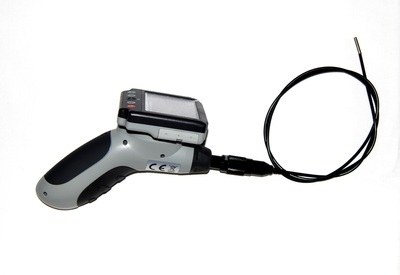 The captured images and videos are saved in the SD card, and the data can be transferred to a PC by USB cable provided. The camera head and cable is water, gas, diesel and oil resistant. This unit is ideal for use in aircraft maintenance, machinery and production line inspection, petro-chemical and power plant inspection, general MRO and facility management where close documented small space inspections are essential.